Summertime has me dreaming of a back porch or deck or any outdoor space where I could enjoy eating light summer fare. Someday, right? 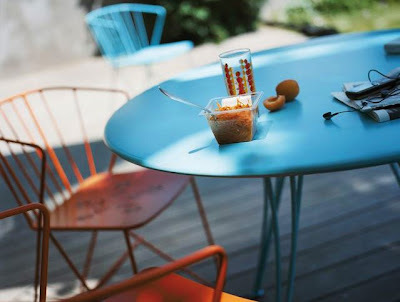 Well for my someday there's Fermob with fantastic designs for outdoor bistro seating in about a million different colors. Me likey.